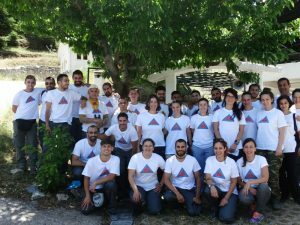 Training Seminar annually organized by KODE, – Social and Ecological Action of Greece – in the Arcadia mountains, with the aim of providing ongoing training to the volunteers who serve during emergencies and protect the environment. Social and Ecological Action K.O.D.E. of ‘New Acropolis’ has been active since 1994 as an emergency response team to the significant social, humanitarian and ecological problems present in today’s world.